TV characters have fantasies, too. Or, maybe just nightmares. Or, maybe they just need to be shown the reality of the "what if..." question they just asked. What if dogs ruled the earth? What if Superman never existed? While we don't have the luxury of living in an alternate reality (even though sometimes we might want to), our favorite TV characters can and have. Check out our list of times TV has taken us to an alternate reality. Which is your favorite? What trip did we forget to include? What alternate reality would you like to visit? Let us know in the comments below! 1. Shadowhunters - "This World Inverted"
During their hunt for Valentine, Clary and Jace get a tip from Meliorn about an alternate dimension. Clary dives right in and finds herself in a world where Valentine is a super duper kind of guy and Izzy and Simon are adorably nerdy. Demons don't exist here and neither do Shadowhunters. Oh, and Magnus is really into Mr. Rogers'-type sweaters. 2. Supernatural - "What is and What Should Never Be"
What if Mary Winchester had never died? Life wouldn't be much fun without Sam and Dean and their monster hunting, that's for sure. 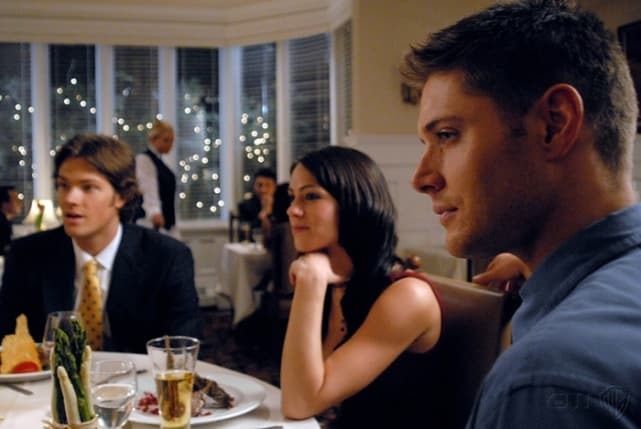 In the episode, Dean is taken hostage by a djinn who feeds off his blood while sending him in a dream state where monster hunting doesn't rule the Winchester family. Never have we seen someone so happy to be cutting a lawn. 3. Castle - "The Time of Our Lives"
Imagine a life with no Caskett. Who can bear the thought? But, what would happen if Beckett and Castle never met? In this alternate reality hour, Castle never wrote the Nikki Heat books, because, duh, he never met Kate and squandered the rest of his fortune, Alexis is living with her mother, and everything else we loved was completely messed up. Luckily, Castle found his way back to reality, and by the end of the epiosde we got ourselves a wedding. 4. 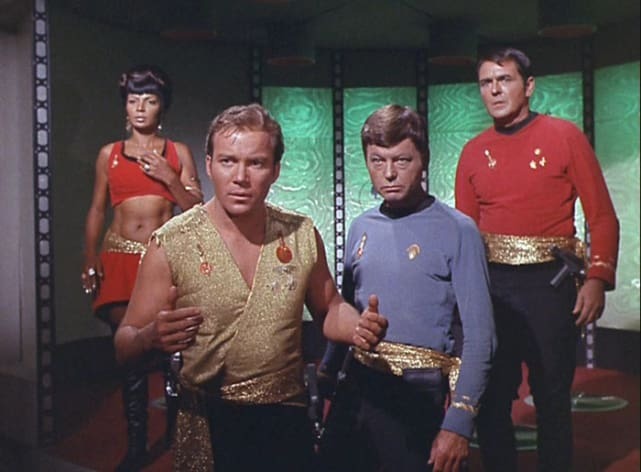 Star Trek - "Mirror, Mirror"
Science fiction meets science fiction in this episode of Star Trek that finds Kirk, McCoy, Uhura and Scotty in an alternate universe after a transporter malfunction. They've landed on the Imperial Starship Enterprise which is part of the evil Galatic Empire and features a bearded Spock. 5. 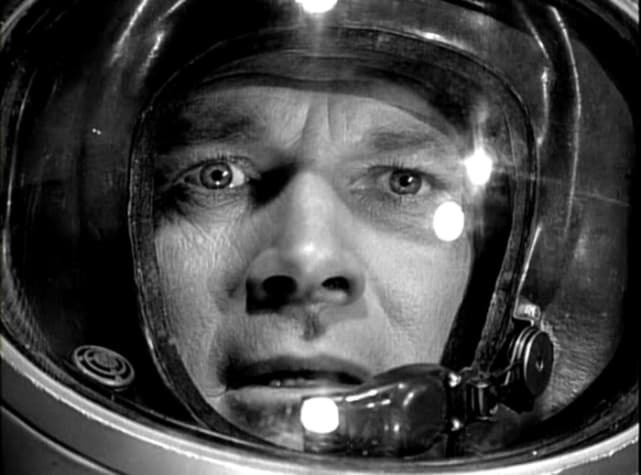 Twilight Zone - "The Parallel"
Something's not quite right in astronaut Robert Gaines' world when he returns home from a space trip in this 1963 episode. Sure, he's still married to the same woman and has the same daughter, but he now lives in a house with pretty white picket fence and he's a corporal. With no recollection of how he landed on this alternate universe, he just knows he needs to get home and eventually he does. 6. Buffy the Vampire Slayer - "The Wish"
What would happen if Buffy never made it to Sunnydale? Well, duh. It would be overcome with vampires, of course! Cordelia's wish comes true after she expresses it to a demon (unbeknownst to her,) and the world goes awry. Luckily, Giles figures it all out and soon the world returns to the way it should be! Incorporated Review: (H)Ear's to Laura!